Asian imports making unauthorized use of patented sealing and mounting mechanisms for charging smart phones and GPS on motorcycles. PLEASANT PRAIRIE, Wis. - June 28, 2013 - PRLog -- Don Blackwell and his son Kurt are the founders of 3BR Powersports, a motorcycle electronics manufacturer based in Pleasant Prairie, WI. Blackwell is a life-long inventor and engineer with more than a dozen patents to his name. Blackwell combined his extensive background with USB communications and a family passion for riding to establish 3BR Powersports in 2010. 3BR offers the innovative TAPP (Tiny Accessory Power Port), DoubleTAPP and TAPPLite USB charging systems for providing clean, waterproof power compatible with today’s smart phone and GPS units. 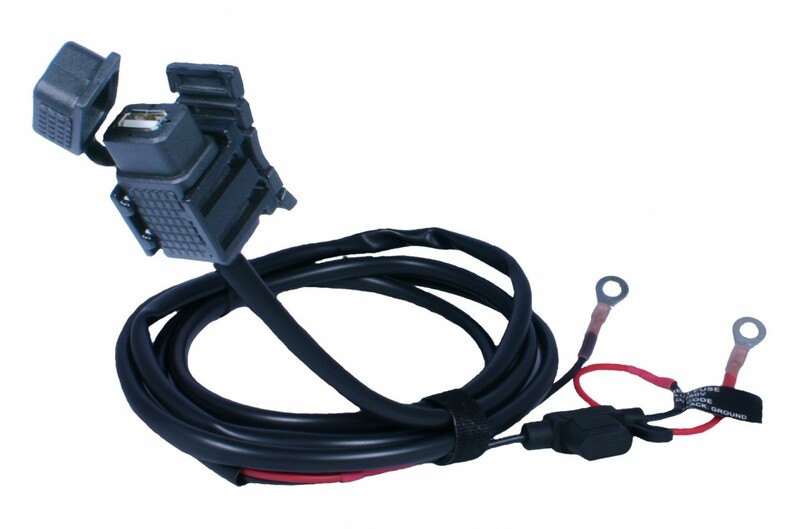 The systems are specifically designed for use on motorcycles. 3BR has exclusive rights to their water-proof USB cable cover design the TAPP CAPP via U.S. patent # 7,914,306. Some TAPP systems also include a flexible adhesive mounting unit that works with multiple surface shapes giving installers more options than systems that will work only on type of curved or flat surface. This Universal Mounting System is protected by U.S. Patent # 8,079,560. TAPP products have been very well received with new versions being released regularly to correspond with new phones and new bike models. The unauthorized products are available over the internet from Chinese internet dealers. Dealers that are carrying the infringing products are advised to stop selling the products and contact 3BR Powersports immediately to resolve the problem. A form letter drafted for 3BR by their law firm is being sent to dealers and distributors. This letter details with photographs and simple verbiage how to identify specific products that are in violation. Full text of the patents can also be viewed at uspto.gov. At this time 3BR is asking for voluntary compliance with the cease-and-desist orders and dealers have been very cooperative. The Blackwells are also asking for help to identify any American distributors that are selling the copied designs. To obtain more information on the advantages of the TAPP and TAPPLite USB charging systems, learn about products that violate their patents, or for any other information please visit www.3brpowersports.com or call 3BR at 408-725-8010.